I used to not really get the beauty of sleep, which would shock anyone now who knows me well! Way back when though, I’d always erred more on the night owl side and felt like sleep was a waste of time. Fortunately, that changed a long time ago. The older I get, the more I value my health. I also see the clear (and visible!) effects of not taking care of myself. If I skimp on sleep, eat poorly or neglect my skin, I see it! 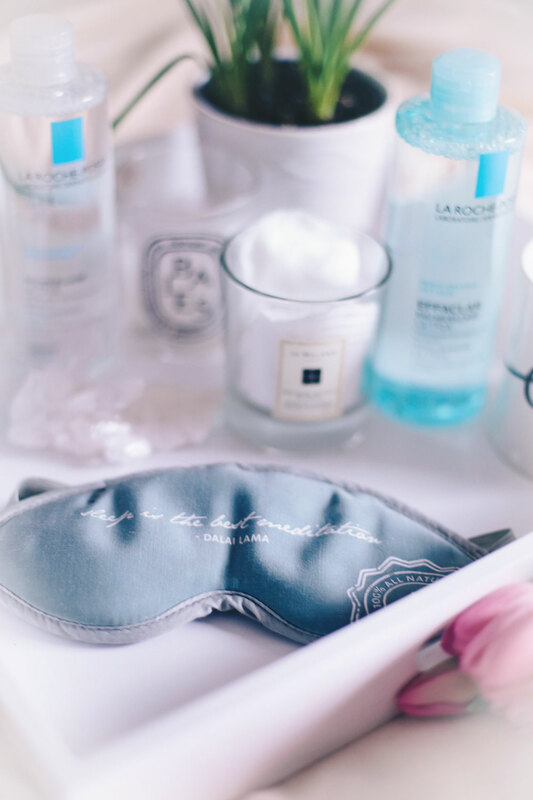 Just like I have a morning routine that combines exercise, reflection, meditation and skin care wellness to start my day off right; I have a nighttime routine to help me wind down and sets me up for a doze that is literally beauty sleep! As far as beauty, I’m such a believer that even with all the most amazing makeup in the world, you need to take care of your skin first. 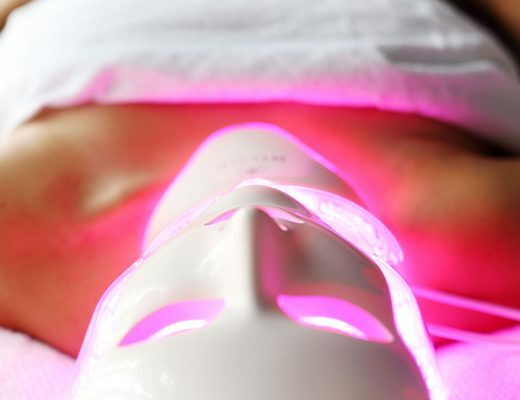 There’s never a more critical time to do this than at night, when your skin cells repair and regenerate. I’ve not only been a longtime user of La Roche-Posay, but as dramatic as this sounds, the famed French brand kind of saved my face during a time when I really needed it about 5 years ago. The brand gave me a deep appreciation of the magic of incredible skincare products. I had a pretty gnarly dog bite and a pharmacist suggested I try Cicaplast Gel (a must for any vanity)—originally created for peel- or chemically-treated skin for fast epidermal recovery. It also happens to be incredible for any abrasion or bite, helping minimize scars. I now have literally no scarring at all which is honestly a miracle! 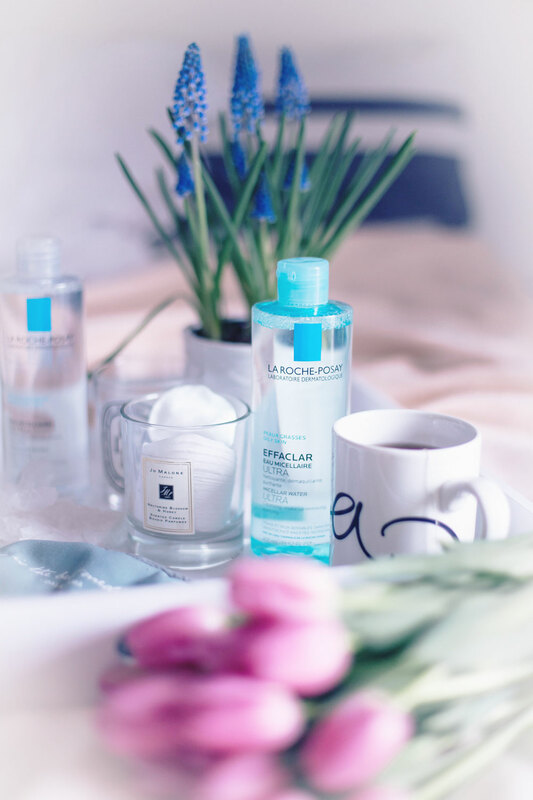 Needless to say, I trust anything La Roche-Posay creates because the results speak for themselves, and I have such an appreciation for any brand that’s really focused on effectiveness, customization and value. 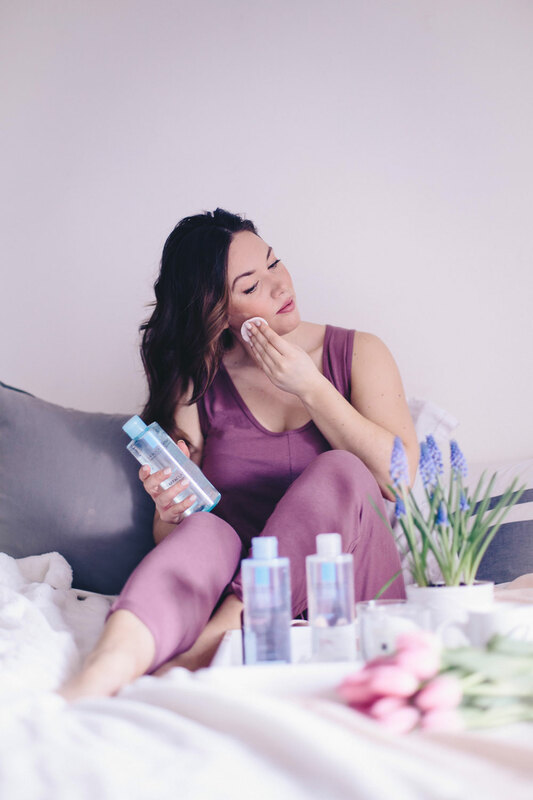 I got the chance to try their new Micellar Water Ultra and it has immediately become the first step in my nighttime routine, instantly sending mental cues that it’s time to wind down. Taking off my makeup and the grime that builds up over a busy day helps start a foundation for clean skin; it really lets the ingredients work their magic. I have reactive skin and I’ve struggled with makeup removal in the past that feels harsh on my skin due to trying to rub product off—I can see my skin get irritated when I do this, which is clearly not the look I’m going for! 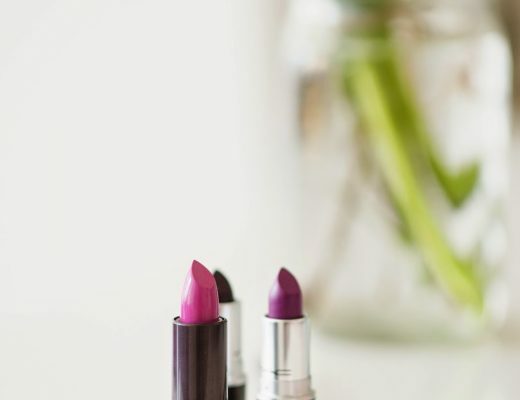 Using glyco-micellar technology, Micellar Water Ultra’s high concentrations of glycerin makes for a seriously luxe makeup removal process because it literally dissolves makeup, meaning you can smoothly glide makeup off using a cotton pad. I love that La Roche-Posay has options for different skin concerns, from reactive to sensitive to oily skin! 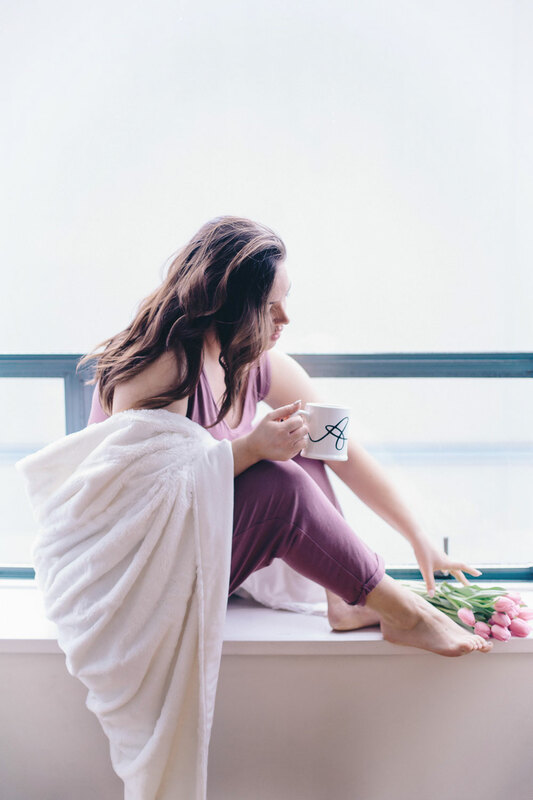 The other thing I’ve started introducing into my nighttime routine is cozy and seriously chic sleepwear. It honestly gets me excited for bedtime and that in turn helps me settle down and sleep better! 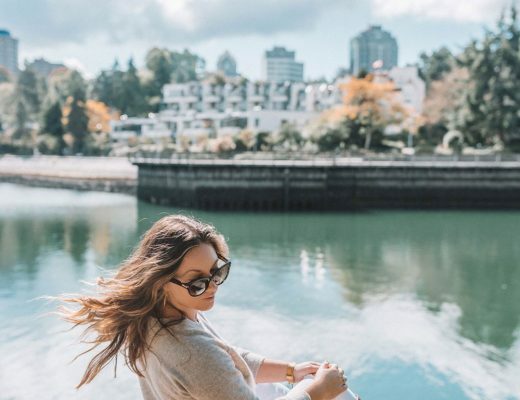 This Smash + Tess romper is beyond cozy and so cute, I pretty much want to slip into it as soon as I’m home! I used to never get the point of eye masks—does light really affect sleep that much? Well, I ended up investing in a luxe eye mask from Saje Wellness and the quality of my sleep immediately changed. Not only do I get a deeper beauty sleep, but I also find the compression around my eyes helps bring down any puffiness. As you guys know from my meditation and morning routine posts, I also am all about aromatherapy. Strategically picking certain scents or blends just sets the tone, helping you settle down right away. I love Unwind by Saje Wellness—I do one spritz on my pillow and the scent almost immediately knocks me out since I associate it with sleep so much! 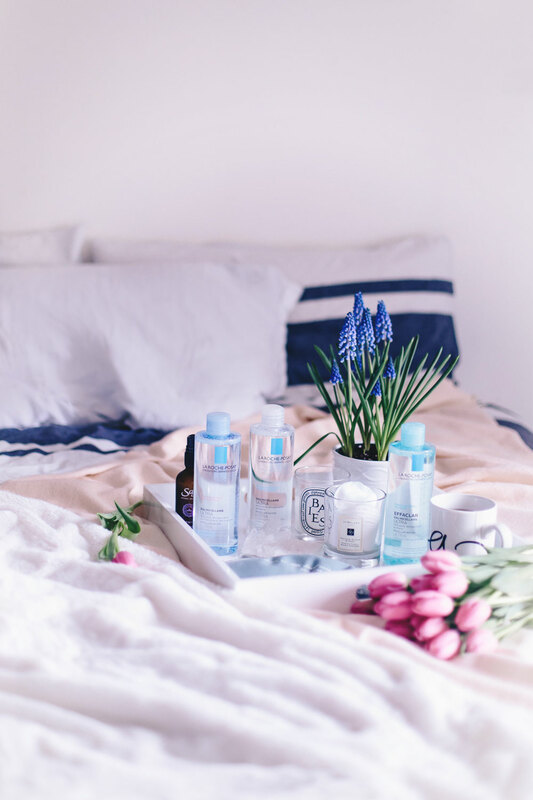 The last thing that’s key for beautiful sleep is hydration, and if you can get a sleep-inducing blend it’s all the better. I’ve been a Sleepy Time loyalist since forever—my mum used to make it for me at night when I’d be fighting sleep so I could stay up and read or play music, and just like back then, it pretty much knocks me out as soon as I get to the bottom of the cup. 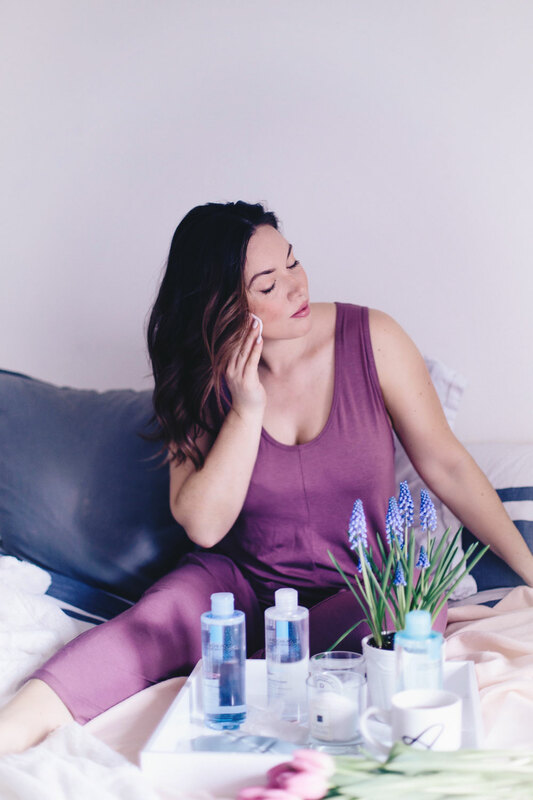 What’s more, sleeping is such a dehydrating process so aside from the fact that you need to hydrate right away upon waking, it’s key to make sure you’re getting some hydration in before your head hits the pillow! Have you guys got any tips for getting seriously amazing sleep? Tell me in the comments below! 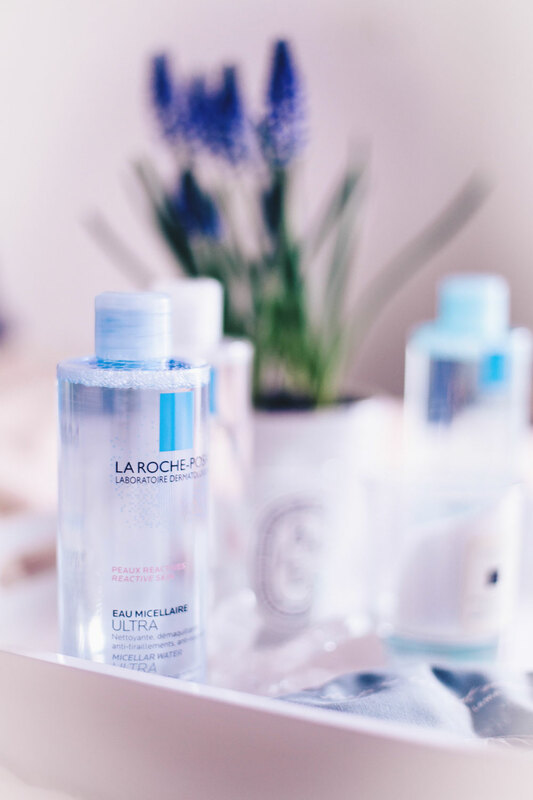 And again, can’t recommend La Roche-Posay enough—make sure you learn more about their new Micellar Water Ultra here!